They say that the eyes are the window to the soul and what better way to decorate and frame the windows to your cells and with some beautiful, healthy and long-lasting eyeshadows? 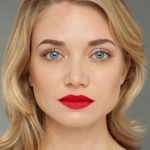 These days there is a plethora of options for every eye color in green beauty, a far cry from what it used to offer five or even ten years ago. Whether you have sky blue eyes or deep chocolate brown eyes, you will be able to find an eyeshadow out there for you and love it! Below are some of the best eco-friendly eyeshadows on the market whether you’re a makeup novice or veteran. These look great in person or on an HD camera with professional lighting. 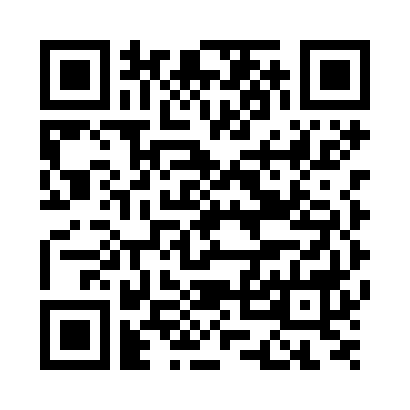 There are many colors that can work for any color and the possibilities are endless. Depending on the kind of look you’re going for, different combinations of colors will work for different eye colors and occasions. But, there are certain makeup colors that are the most optimal for specific eye colors which we will cover in this article. 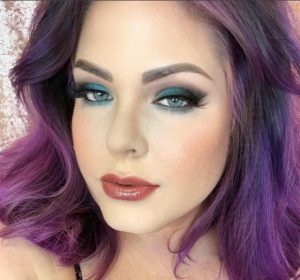 When it comes to blue eyes, warm coppery tones are the best bet. They will complement the eyes making them look bluer than usual. 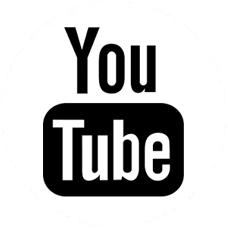 Other options that blue eyes can try are other shades of blue like sky blue or ocean blue. If you want to do smokey eye, using brown eyeshadow will be much more flattering than the traditional black, which may look a bit gothic–unless that’s what you’re going for. 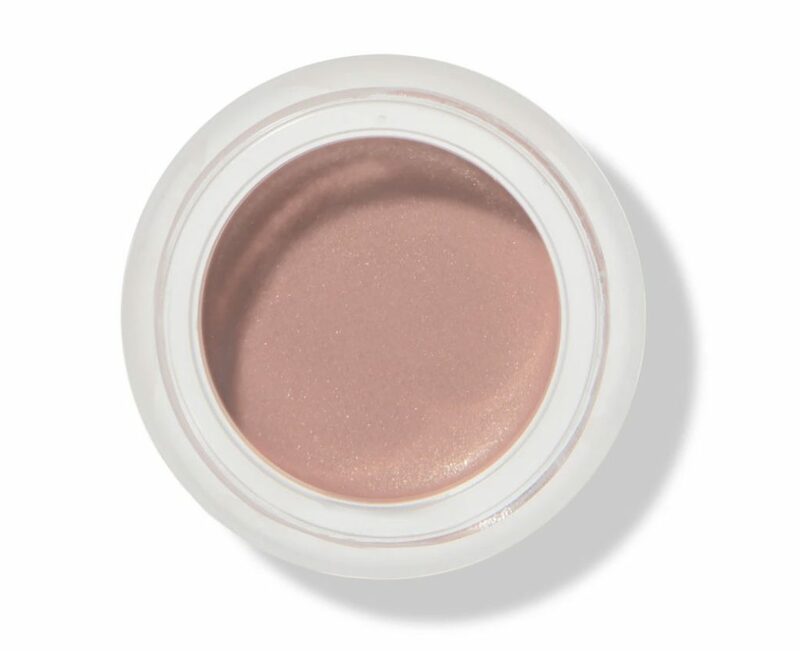 100% Pure Fruit Pigmented Satin Eyeshadow in Java ($26) – This cream shadow is a great formula for drier eyelids and it’s a creamy tan color with flecks of gold that will be sure to enhance blue eyes. Would make for a great base for a smokey eye look that will make your eyes stand out like a blue diamond. 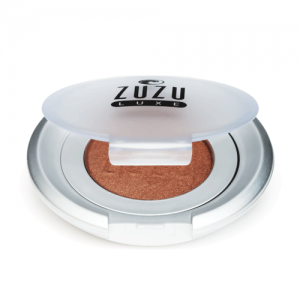 Zuzu Luxe Eyeshadow in Sahara – ($16) This gorgeous shimmery copper eyeshadow will light up blue eyes like a sunset over the ocean. The contrast of the fiery warm tones against the cool tones of blue eyes would be perfect for the summer and autumn seasons when the sun graces the sky and the leaves turn red. Violet eyes although rare, would benefit from one of those popular eyeshadow colors which is gold. Anything with a yellowish tone will be flattering including greenish-yellow or other shades of purple. 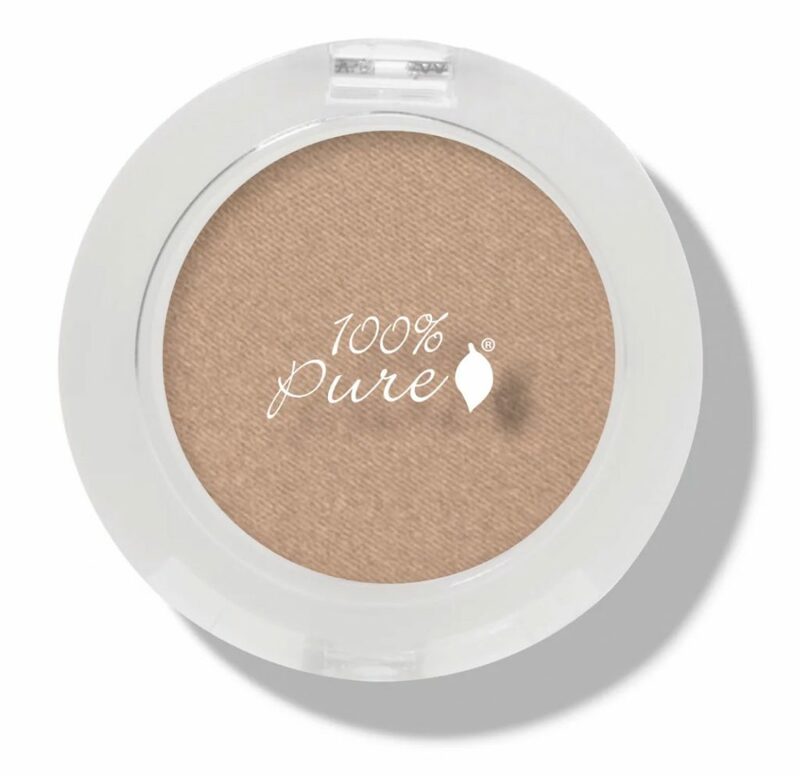 100% Pure Fruit Pigmented Eyeshadow: Gilded ($20) – This dazzling champagne gold is perfect for the holidays and New Year’s festivities! 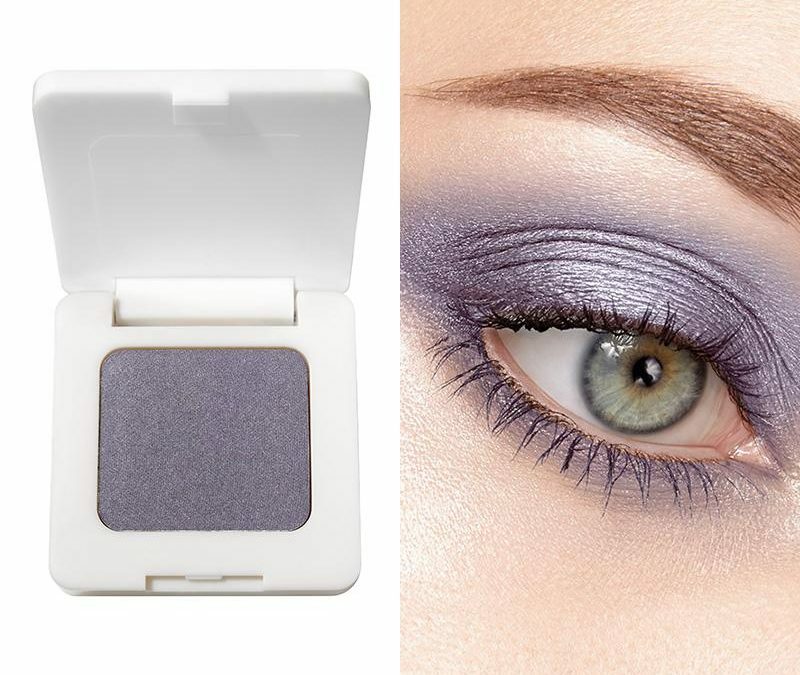 If you have violet eyes, this will make your eyes rival those of the legendary Liz Taylor. 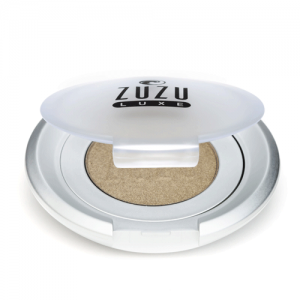 Zuzu Luxe Eyeshadow in Absinthe – ($16) Reminiscent of fine extra virgin olive oil, this shade will add some earth sophistication to your iris. Green eyes will look most flattering with some shade of red or pink. Reddish purples will also work nicely and make you think that you’re looking into a forest. 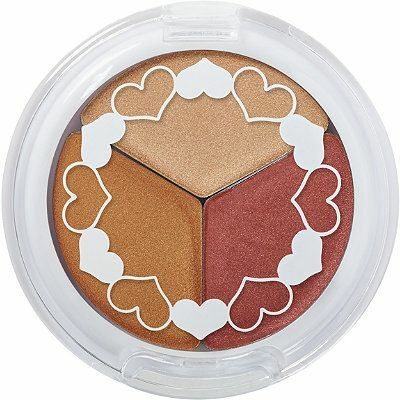 Pacifica Super Powder Supernatural Eye Shadow Trio Breathless, Glowing, Sunset – ($11.40) This cream eyeshadow trio is a beautiful rosy collection that will make your eyes look richer, like a forest. The added gold Sunset hue also makes for a nice highlighting color. Gabriel Eyeshadow In Aubergine – ($14.30) This versatile brownish-plum brings an earthier and very wearable tone appropriate for day or night. A light application all over the lid is perfect for the workplace while adding more eyeshadow by the lashline and feathering outward makes for a flattering and not too dramatic smokey eye. Hazel eyes are a special case. Usually was some sort of shade of green or yellow with orange bursts in it. This makes purple the most flattering color to wear but can also pull off blues to complement the orange bursts within their irises. 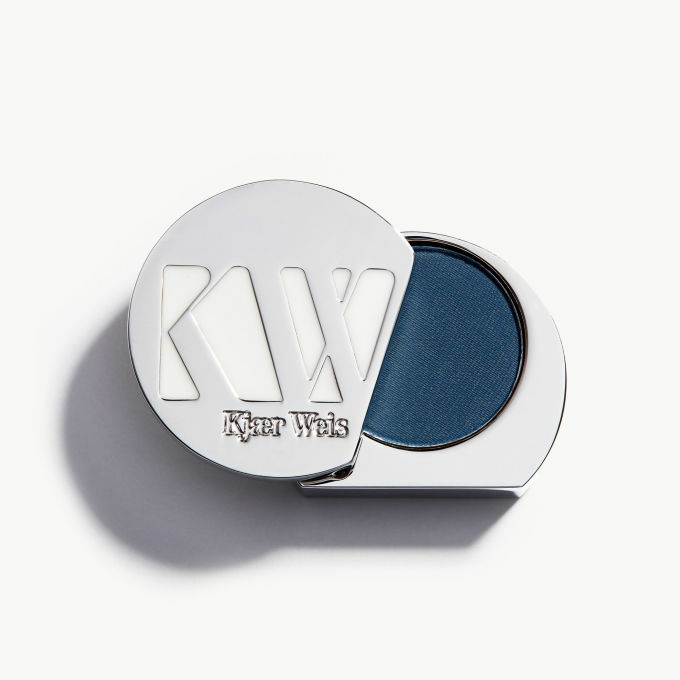 Kjaer Weiss Eye Shadows in Blue Wonder – ($45) This warm teal blue will make hazel eyes light up like the sun! Quite ideal for spring and summer months when colors in nature are vibrant. RMS Beauty Swift Eyeshadow in Enchanting Moonlight Em-68 (Pure Violet) – ($20) The contrast between the cool silvery violet of this shadow and the warm hazel hues will make for a beautiful pairing. And finally, the most versatile eye color is brown which can take on any color in the rainbow. 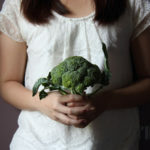 Because of its depth and neutrality, it is complementary with any color. And the darker the brown, the more range of shades that are flattering for them, including brown itself. 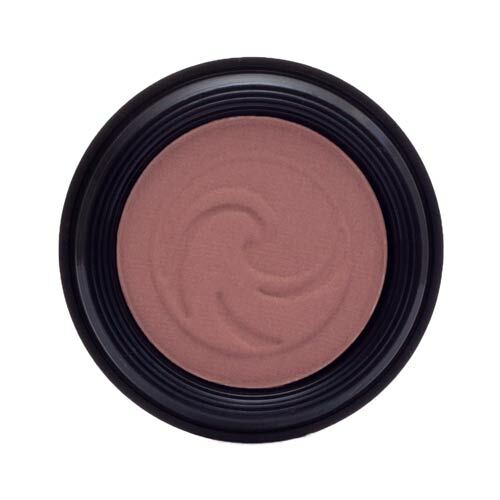 Gabriel Cosmetics Eyeshadow in Chocolate Brown – ($14.30) This shade reads more like a milk chocolate brown, but is still a great neutral eyeshadow that will intensify brown eyes with its own color. 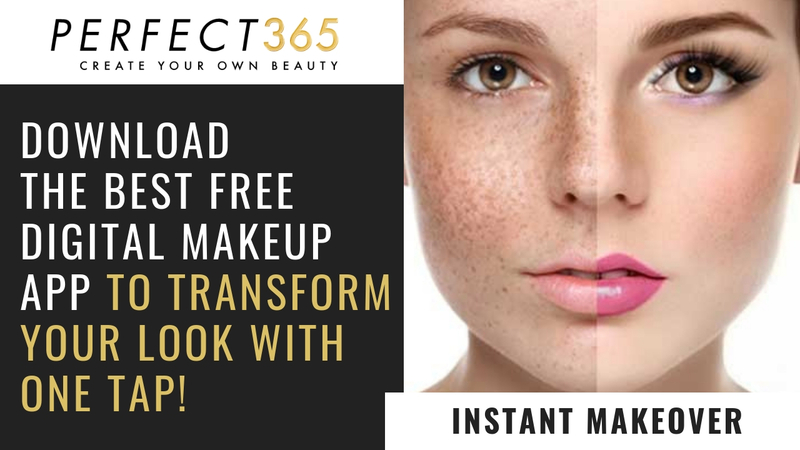 Perfect for everyday, work, or you can pack on at night for a more sultry look or to add a transitional color to a smokey eye (preferably in a black eyeshadow or paired with a black eyeliner). Kjaer Weiss Eye Shadows in Green Depth – ($45) This eyeshadow is fun and festive, channeling the Wizard of Oz with its shimmery green and gold flecks. Perfect for the holidays! 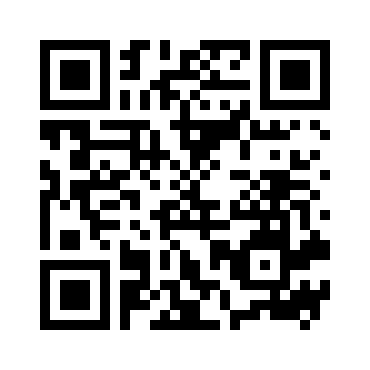 Hope you enjoyed the list above and try at least one of these brands out!